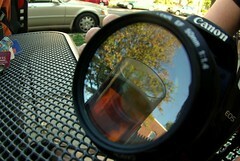 Reminder: Photowalk with Derrick Story Tonight! Hey all, just a quick reminder, we’re meeting at 7th and H Streets tonight at 6pm for the We Love DC Photowalk with Derrick Story. 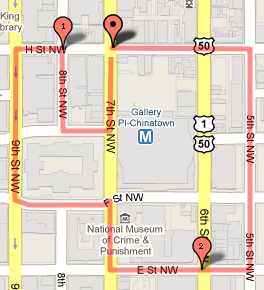 We’ll head east to Fifth Street, south to E Street, and then wend our way through Penn Quarter. There’s a draft route past the break, but check twitter for our formal location, as we’ll be tweeting it sporadically. We’ll end up for an informal beverage or two at RFD on 7th, just north of where we started.